There are two Census Projects. The Colquitt County transcriptions that I have done have been submitted to both projects. If you have access to federal census records for any county and are willing to transcribe them, please contact one or both of these projects. Need help in locating the area of Colquitt County your ancestors lived? 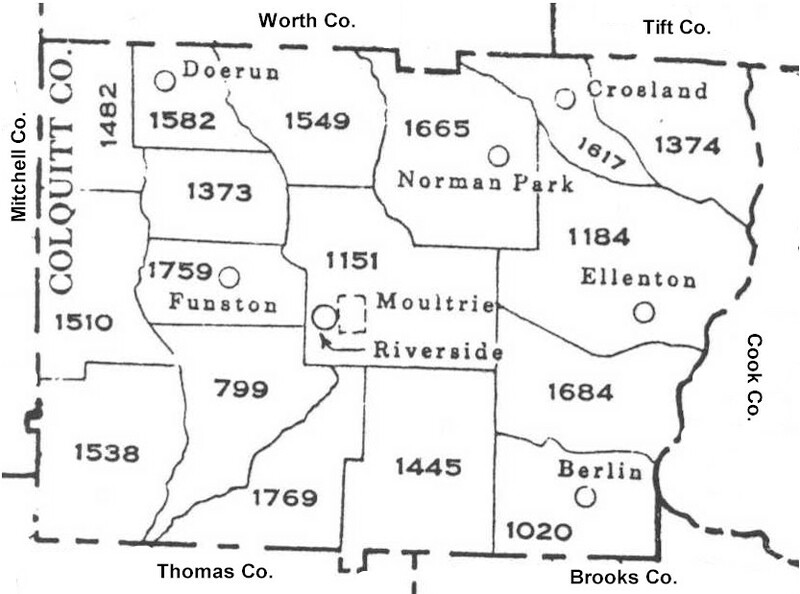 Look at a map showing the name and location of the Militia Districts. your ancestor answered the census enumerator. How much is that in today's values?